Build Africa's patrons champion our work to new networks and the general public, while our ambassadors support the organisation with key skills and knowledge. We are grateful for their contribution. Mark is a strategic adviser for the British Private Equity and Venture Capital Association. He is the co-founder and chairman of the Centre for Social Justice and senior advisor to 8 Miles LLP (the pan-African private equity fund). Mark is involved in numerous philanthropic activities and became a BBC Trustee in April 2015. Tom is Chairman of Hg Capital LLP. Both he and his family have personally supported the development of schools in Kumi, Uganda. Tom is able to use his knowledge of education in the UK and his work at the Centre of Social Justice to support Build Africa. Dupe is a Consultant Haematologist in London. She has led research programmes for the Department of Health and been educational supervisor at St George’s and King’s College hospitals. Dupe has helped to raise awareness and funds for Build Africa by organising events – including the Africa Blossoms fashion show and the Build Africa Ball 2014. Shiulie is a former news anchor for Al Jazeera International, and previously a correspondent for ITV News where she fronted award-winning reports on the 2004 Indian Ocean tsunami. Shiulie has supported Build Africa since 2002 and had visited our work in Africa to help make a short film about our projects. Mark and his wife Janie have supported Build Africa since 1996, having been influential in our programme work by pushing the organisation to demonstrate impact with data collection. He is also the founder and former director of Workload Business Consultants. Mark and Janie now run their own charity to support young people. Tom is also a member of our UK board, where he takes on a key role in helping to drive our fundraising strategy. Tom is the founder of Spayne Lindsay & Co, an independent advisory firm. Both he and his Spayne Lindsay team have undertaken many challenges to raise valuable funds for our work. Tamzin is an actress whose breakthrough role came in 2005's Pride and Prejudice. Since then she has appeared in BBC series The Tudors, Jane Eyre and US supernatural series Salem. In 2013 Tamzin visited Build Africa's projects in Uganda. Clive Myrie is an award-winning BBC presenter and foreign correspondent. He's covered some of the most important news stories of the last 25 years - reporting from the battlefields of Bosnia, Kosovo, Iraq, Libya and Afghanistan, as well as on the presidencies of Bill Clinton, George W Bush and Barack Obama. He has previously been the BBC's Asia, Africa, Washington and Europe correspondent, but is now based in London where he presents BBC News. Bolaji is a co-founder of Stirling Square Capital Partners, a European private equity firm. He has helped to develop the funding of our livelihoods work, while his family have personally supported the development of Madoc Ailak Primary School in Uganda. Lennart Perlhagen is the former Scandinavia and UK CEO for Pharmitalia, a world leader in chemotherapy products. He has also worked as a regional director at Astra AB (now Astra Zeneca) where he was involved with the launch of omeprazole - now the world's top selling pharmaceutical product. Andrew's family have always had a strong connection with Build Africa - his father is a former CEO and his mother was a trustee. Andrew has been influential in attracting new supporters to our work. 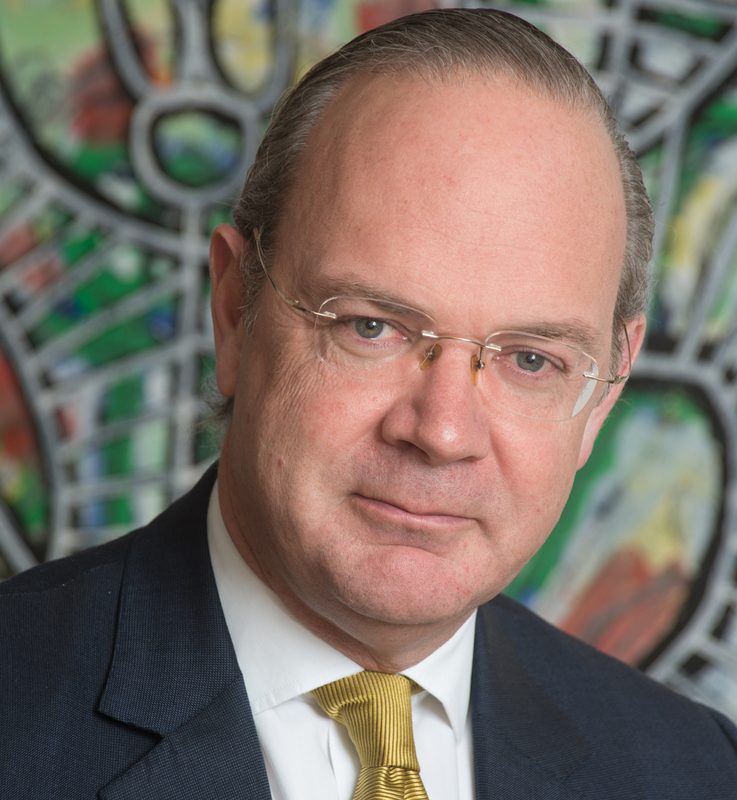 He is Chief Executive of Cazenove Capital Management, having previously been with HSBC Asset Management (Europe). John has been influential in opening new networks to corporate donors. Both John and his wife Melanie are regulars at our events, and as a family have supported the development of Kisomere Primary School in Uganda. John is the co-founder and partner of STJ Advisors. Melanie has been on the committee for several Build Africa balls and dinners. Along with her husband, John, she has also supported Kisomere Primary School in Uganda. She runs a portfolio of properties. 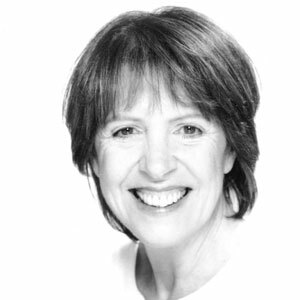 Dame Penelope Wilton is an acclaimed actress of stage, film and TV. She has appeared in popular series and movies from Ever Decreasing Circles, Doctor Who and Downton Abbey to The Best Exotic Marigold Hotel and Calendar Girls. Her extensive stage career has seen six Olivier Award nominations, including winning Best Actress in 2015 for Taken at Midnight. Penelope has supported Build Africa since 1986. Debbie has helped develop Gitare Primary School in Kenya with funds raised through the Tony Bartlett Memorial Fund - in memory of her late husband who was a teacher and cared passionately about education. Debbie has also driven fundraising initiatives and is keen to engage with schools to promote the work of Build Africa. Matt became an Ambassador shortly after running the London Marathon for Build Africa in 2018. Having previously volunteered in Kenya and Tanzania in 2016, he recognises the importance of working with our Events team to support our fundraising initiatives. JP has been supporting and raising funds for Build Africa for a number of years, including taking on the London Marathon and Prudential RideLondon 100. He is a former director of Barclays Corporate Banking and a Trustee of Kenward Trust, as well as Chairman of Kenward Social Enterprises. JP provides advice and introductions to develop and support corporate partnerships and raise awareness of our work. Claire works in the Global Social Impact team of Dentsu Aegis Network, a leading marketing and communications group. With her background in geography and teaching, she is passionate about the role of education in development. Claire will be drawing on DAN’s marketing expertise to support Build Africa with its digital communications. Rachel has a degree in Education from Leeds university and has been a primary school teacher for 8 years. She was head of English and Key Stage 1 leader for the past 2. She has spent the past few months advising teachers on school improvement on a consultancy basis. Geraldine is a development specialist who delivers programmes aimed at increasing private sector activity in emerging and developing markets. She provides Build Africa with advice and guidance to strengthen the charity's work in livelihoods. Sid is a manager at Spayne Lindsay & Co, an independent advisory firm focused on the consumer sector. He joined the firm in 2012 after graduating from Durham University with a degree in Economics. Sid previously lived in Kenya, where he was involved in numerous charity projects. Richard is a long term supporter who has raised over £70k for Build Africa in a number of challenge events – he has run 35 marathons and 6 ultra marathons to date, including 12 London Marathons, 3 New York Marathons and 3 Comrades Marathons. Richard is a Corporate Law Solicitor and has specialised in cross-border Mergers & Acquisitions for over 35 years as a partner of various international law firms. He is our Ambassador for Law Firms and is keen to leverage his expertise and network to help a charity that is very close to his heart. Mike Hedley began supporting Build Africa in 2014. His involvement includes supporting Twendane Primary School in Kenya and the Live Below The Line challenge. Mike has experience with a number of global non-profit organisation and works as a manager at Microsoft in Seattle. Beth has been involved with Build Africa for a number of years. In 2014 she helped organise our hugely successful Gala Dinner, and is now an ambassador supporting our growth in the USA. Beth owns and runs SunSkyns, a water wear company for women, and is also a professional musician. Lisa founded Flatiron Strategy Services, offering consultation to social impact organisations and early-stage technology companies. She also helps support the development of small organisations that use their services for good. Brian is an investment banker who owns New Jersey firm B.V. Murray & Co. Among other charitable projects, Brian co-manages Pristina Capital Partners LLC who developed a water sanitising system to deliver safe water to communities in Africa and Asia. Christiana became interested in Build Africa after a trip with her father (Mark Florman) to Uganda where she witnessed our work first hand. Christiana’s other charity work includes three months working in Costa Rica with Operation Raleigh, and event planning with Marie Curie Cancer Care. Celia began supporting Build Africa through her parents (John and Melanie St. John) who are both patrons. Celia says she is aware of the “immense privilege” of the education she has received, and wants less privileged children to enjoy the same opportunity. Giles’ interest in Build Africa started after learning that his grandfather had been CEO of the organisation when we were known as International Christian Relief. He is the son of Andrew Ross, a patron of Build Africa, and has spent time with our teams in Kenya and Uganda, and has worked in the UK office as well.